UPDATE 10/24/14: Spotted the Tasty Brand Spooky Organic Fruit Snacks priced at $13.89 for a 36-pack (larger than last year’s 24-pack). 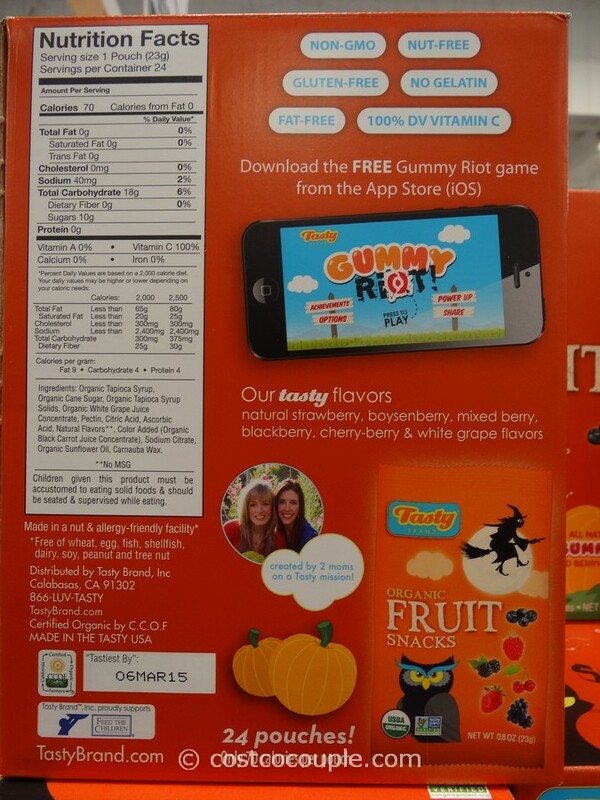 Unit price is 38.6 cents/pack. Item number 919560. 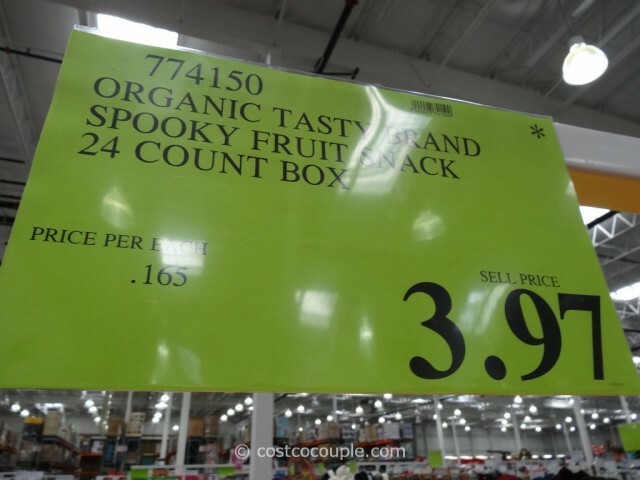 UPDATE 10/31/13: Spotted a price reduction for the Tasty Brand Spooky Organic Fruit Snacks. 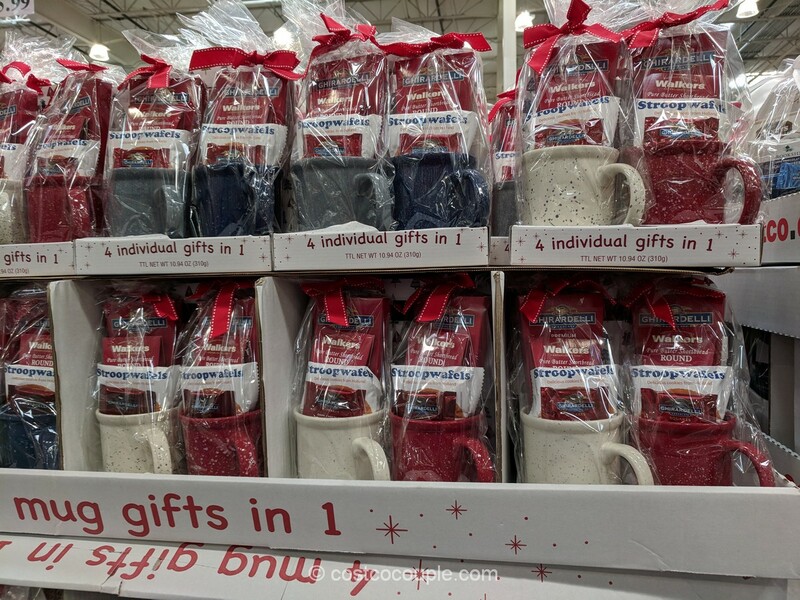 Price is now $3.97. 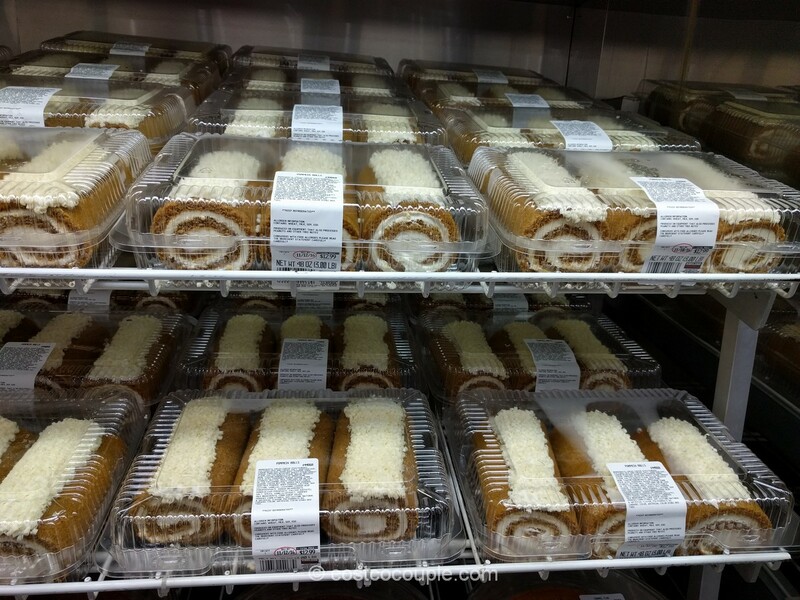 May not be available in all stores. Get into the Halloween candy spirit with the Tasty Brand Spooky Organic Fruit Snacks. 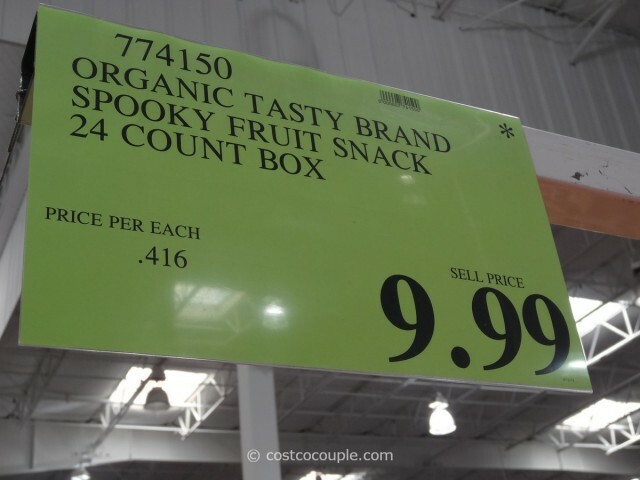 How are the snacks “spooky”? Shapes of owls and witches or just black and red in color? I’m not sure as it’s not explained on the packaging. 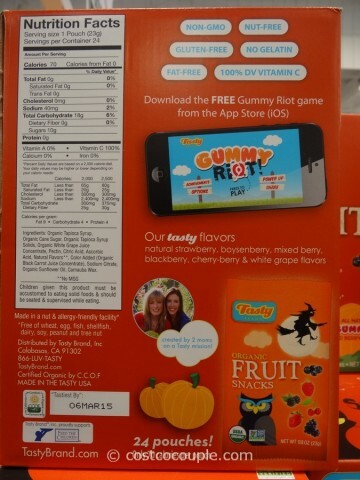 I guess it’s just a marketing gimmick? 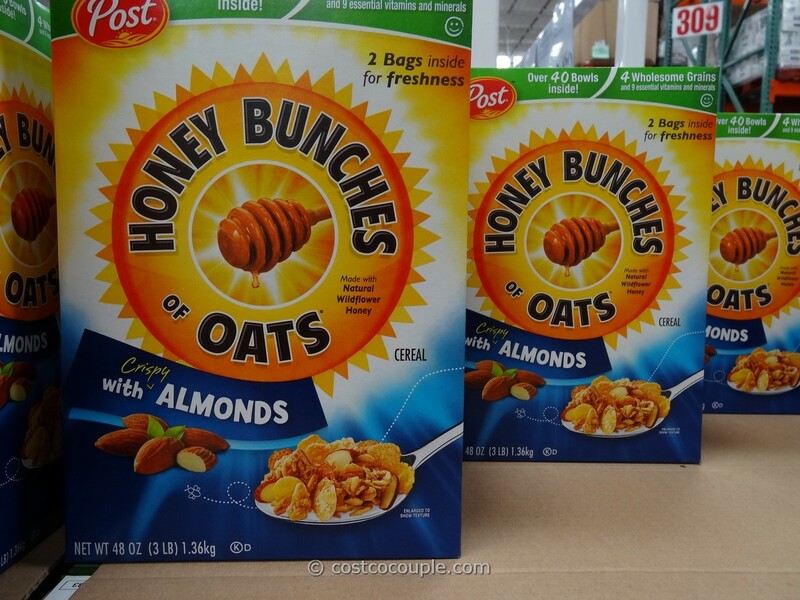 There are 24 pouches (0.8 oz each) in a box. 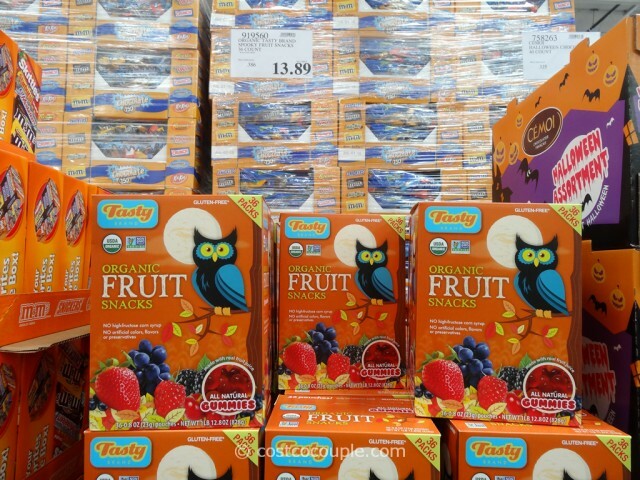 Each pouch contains 70 calories. 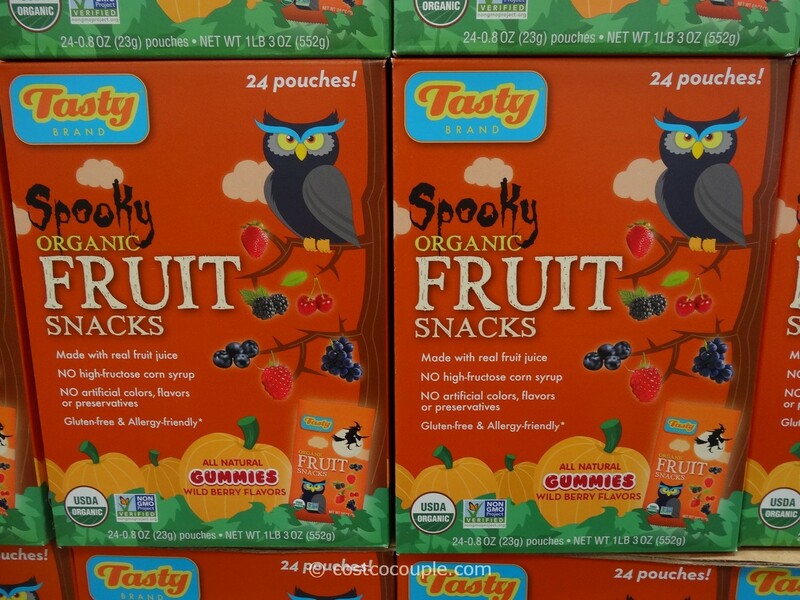 The Tasty Brand Spooky Organic Fruit Snacks box is priced at $9.99.